Foundations of Music - Pivot Marketing Inc. Foundations of Music, a Chicago charity, provides public school kids with music education. We were enlisted to help promote their annual spring giving drive and developed logo, collateral and social media materials for them to get another record-setting year! We helped an educational nonprofit make sweet music. Rock for Kids was a nonprofit that brought a love of music—and much-needed music education—to Chicago Public Schools, in mostly underprivileged neighborhoods that lacked resources focused on music appreciation and education. The organization had a problem, though; it found that schools were not wholly receptive to the idea of just rock music as an educational program. Still, Rock for Kids saw that schools were hungry for broader music curricula. So, the organization decided to expand its repertoire and reframe services, renaming itself Foundations of Music. 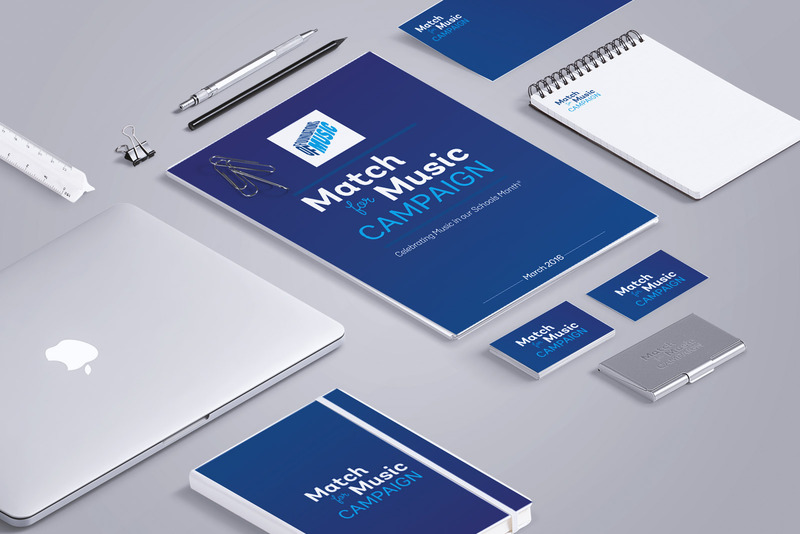 We helped bring this new identity to life, spreading the word about Foundations of Music by developing event and promotional materials geared at getting more schools involved. 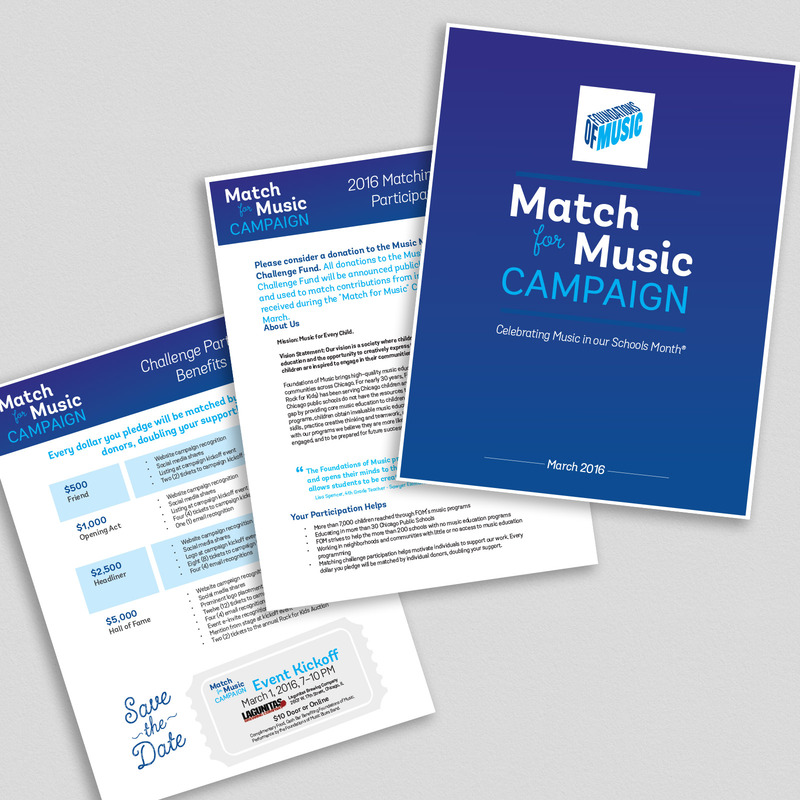 We also helped the nonprofit grow, by creating donation materials so Foundations of Music could expand. And that, well, rocked.